The Executive Council of the (OPCW) expressed “grave concern” March 10 about the apparent use of VX nerve agent to assassinate Kim Jong Nam. The Executive Council of the Organisation for the Prohibition of Chemical Weapons (OPCW) expressed “grave concern” March 10 about the apparent use of VX nerve agent to assassinate Kim Jong Nam, the estranged half brother of North Korea’s dictator, at the Kuala Lumpur International Airport. The OPCW called the use of VX, as announced by the Malaysian Foreign Ministry on March 3, “reprehensible and completely contrary to the legal norms and standards of the international community,” amid speculation that dictator Kim Jong Un was behind the Feb. 13 attack. Kim Jong Nam died about 20 minutes after two women, one Indonesian and the other Vietnamese, applied VX on his face, according to Malaysian authorities, who said the women had been recruited by a team of North Koreans. The OPCW offered to provide technical assistance to Malaysia’s investigation. Ri Tong Il, a senior North Korean diplomat who flew to Kuala Lumpur to collect the body, attributed the death to a possible heart attack due to a history of diabetes, heart disease, and high blood pressure. Malaysian officials said they would delay the transfer of the remains temporarily while awaiting word from immediate family living in Macau and China. North Korea’s advancing nuclear and ballistic missile programs are the most urgent nuclear proliferation challenges today. The new administration of President Donald Trump, along with U.S. allies and partners in Northeast Asia, have a rapidly closing window of opportunity to pull back from potential escalation and war and pursue a diplomatic course that halts and eventually reverses Pyongyang’s nuclear weapons program. Last month during his first official visit to Asia, Secretary of State Rex Tillerson reiterated that the previous administration’s policy of “strategic patience” toward North Korea had reached a dead end. Indeed, a policy focused solely on international pressure, absent engagement, has not worked. With an interagency policy review underway, Tillerson and the new Trump team are in search of a more effective policy. Time is not on Washington’s side. North Korea already has the capability to deliver a warhead on a short- or medium-range ballistic missile. With more nuclear tests, North Korea can further refine its warhead designs to increase the explosive yield and develop a lighter, more compact warhead. North Korea’s next nuclear test explosion, which would be its sixth, could be imminent. North Korea is estimated to have some 50 kilograms of plutonium, enough for 10 nuclear explosive devices. International Atomic Energy Agency Director-General Yukiya Amano said on March 20 that North Korea has doubled its capacity to produce highly enriched uranium. By 2020, it may have enough fissile material for 100 warheads. Worse yet, it could soon begin flight-testing an intercontinental ballistic missile. If the current action-reaction cycle continues, it will not only diminish the prospect of denuclearization of the Korean peninsula, but it will increase the risk of a devastating nuclear war. In its review of past U.S. strategy toward North Korea, the Trump team should recognize that when there has been success in curbing Pyongyang’s nuclear program, as there was between 1994 and 2002 as a result of the Agreed Framework, U.S. policy effectively integrated diplomacy and pressure to create significant incentives for North Korea to meet nonproliferation obligations and strong disincentives for failure to do so. Once again, a strategy of coercive diplomacy, focused initially on aggressive and sustained diplomacy to secure phased denuclearization, offers the best prospect for success. If this effort fails, Washington can still significantly escalate pressure commensurate with the severity of North Korean actions. When Trump and Tillerson meet with Chinese President Xi Jinping this month, they should emphasize the need to strictly enforce existing sanctions and jointly pledge not to seek new sanctions as long as North Korea acts with restraint. To move forward, Trump should take note of Pyongyang’s statement from July 2016, which called for denuclearization of the Korean peninsula, to make clear that the United States remains committed to denuclearization as the end state of the process. If North Korea is willing to negotiate, initial talks should focus on obtaining a moratorium to prevent additional nuclear and ballistic missile tests in order to buy time for a more far-reaching and lasting solution. For that, the United States will need to be prepared in return to put something on the table. In consultation with the incoming government in Seoul, Washington should consider scaling back or delaying the next round of joint military exercises with South Korea. The exercises could be scaled up if North Korea breaks off talks or conducts further nuclear or ballistic missile tests. If the initial moratorium holds, North Korea and the United States could proceed to steps that would roll back Pyongyang’s nuclear activities, including a verifiable halt to fissile material production that would be monitored by international inspectors at North Korea’s nuclear sites. In return, the United States might extend to North Korea limited sanctions relief and negative security assurances against military attack under certain conditions. To maintain leverage, the United States and its partners must strengthen implementation of existing UN Security Council sanctions. China’s decision to halt coal imports from North Korea is a good start. 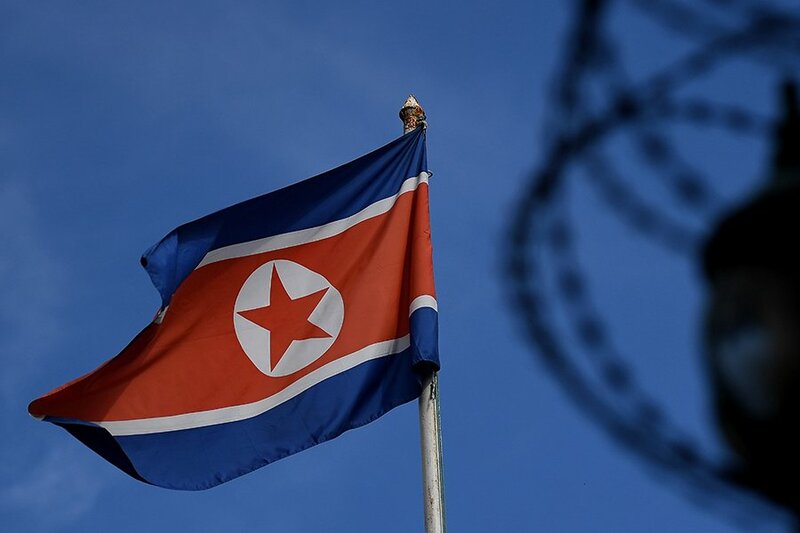 The latest report of the UN panel of experts on sanctions against North Korea said that the Security Council must compel better enforcement by imposing penalties against non-North Koreans involved in evasion. Other policy approaches pose very high risks and have lower chances of success. New sanctions without an offer of talks would be opposed by China, and North Korea would, as leader Kim Jong Un said Jan. 1, “continue to build up” its nuclear forces, which he sees as a guarantor of regime survival. Pre-emptive U.S. military strikes would be operationally difficult and provoke a strong, likely military response from Pyongyang that could trigger a second Korean War. A new policy that tries negotiations first and then puts pressure on North Korea if its intransigence scuttles diplomacy will not guarantee success, but it offers the best chance for curbing the North Korean nuclear threat. 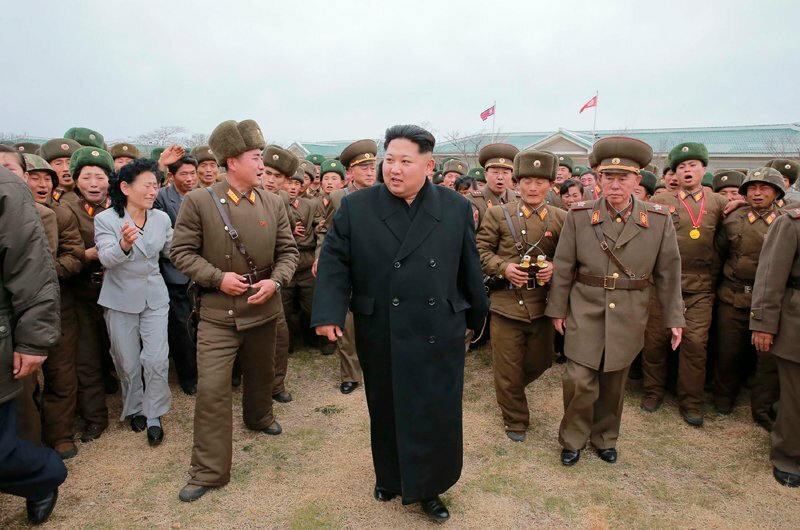 Leader Kim Jong Un again defies a UN Security Council prohibition. North Korea successfully tested a new medium-range ballistic missile last month that demonstrated several technical advances, including a domestically produced launch vehicle. The missile, known as the Pukguksong-2, is a two-stage, solid-fueled system, likely adapted from the submarine-launched ballistic missile, the Pukguksong-1, that North Korea has been developing for the past several years. North Korea is prohibited from testing ballistic missiles by UN Security Council resolutions, but has continued to develop and test a range of ballistic missiles. The UN Security Council condemned this latest test on Feb. 13. The Korean Central News Agency (KCNA), in a Feb. 13 report, described the missile as a “Korean style new type strategic weapon system” and called the test a success. The report said that leader Kim Jong Un had the system developed based on the indigenously developed Pukguksong-1, which international weapons analysts call the KN-11. The missile flew approximately 500 kilometers, but was tested at a lofted trajectory that the KCNA said was done to take into account the security of neighboring countries. Experts assess that the missile, if flown a standard trajectory, would have a range of approximately 1,200 kilometers, which is similar to the assessed range of the submarine variant and puts it in the category of a medium-range ballistic missile. When deployed, the Pukguksong-2 will likely be nuclear capable. North Korea has other land-based, medium-range ballistic missiles, but they are liquid fueled. Solid-fueled ballistic missiles require less support because they are not fueled at the launch site, making them more difficult to track and pre-empt. North Korea also used a technique for launching the missile that is similar to a submarine launch. The Pukguksong-2 was ejected from the canister using compressed gas. The rocket engine ignited after the launch, which protects the vehicle from the worst of the heat from the launch. North Korean media highlighted that the tracked vehicle used to transport and launch the missile, often referenced as a transport-erector launcher (TEL), was also indigenously produced. Joshua Pollack, senior research associate with the James Martin Center for Nonproliferation Studies, told Arms Control Today on Feb. 17 that North Korea’s claims that the TEL was produced domestically are credible. Pollack said there are aspects of the vehicle that resemble Soviet-made TELs, but the newly displayed model appears to be unique. There are some externally visible components of the TEL that match those of tanks and other tracked vehicles produced in North Korea, he said. The site where the missile was tested is a proving ground for tracked vehicles located near North Korea’s Kusong tank factory, he said. North Korea’s development of an indigenous TEL production capability is unfortunate because launch vehicles were a “noticeable area of weakness in North Korea’s missile program” and Pyongyang has until now relied on foreign suppliers for TEL chassis, Pollack said. North Korea has displayed several different missiles, including intercontinental ballistic missiles, on wheeled vehicles produced in China and adapted by Pyongyang to transport and launch missiles. Pollack’s hypothesis is that North Korea is currently unable to reliably import wheeled vehicles to use for missile launchers, so Pyongyang is falling back on track technology that it already knows how to produce. When denied sensitive technology, North Korea’s “general strategy is to turn to domestic production” wherever possible, he said. Pollack, who is also the editor of The Nonproliferation Review, said using tracks instead of wheels on the launch vehicle is a “double-edged sword.” Although tracks allow a vehicle to traverse more difficult terrain, other things being equal, the vehicle will move more slowly than a wheeled counterpart, he said. The new administration has a narrow window to shift U.S. policy toward North Korea in ways that halt its nuclear activities. North Korea’s advancing nuclear and ballistic missile program is one of the most serious national security challenges that Donald Trump faces as president. The new administration has a narrow window of opportunity to recalibrate U.S. policy toward North Korea and seek a lasting arrangement that halts and then ultimately rolls back Pyongyang’s nuclear weapons program. Currently, North Korea is assessed to have the capability to deliver a warhead on a short- or medium-range ballistic missile, threatening allies and U.S. troops in the region. But if North Korea remains on its current trajectory, it could soon begin testing an intercontinental ballistic missile (ICBM) and deploy the system within the next decade, which would pose a direct threat to the continental United States and upset the security situation in East Asia. A concerted diplomatic effort aimed first at freezing North Korea’s nuclear and missile testing, followed by negotiations designed to roll back Pyongyang’s nuclear weapons program, will be difficult and may not succeed. However, when compared to other policy options, it stands the best chance of halting North Korea’s program. The Obama administration’s policy toward North Korea, known as ‘strategic patience,’ failed to halt Pyongyang’s illicit nuclear and missile activities. The strategic patience approach involved increasing sanctions pressure on North Korea and returning to negotiations only after Pyongyang took steps toward denuclearization, which it committed to in the Six Party Talks with the United States, China, South Korea, Russia and Japan in 2005. The onerous preconditions in the Obama administration’s policy approach, coupled with the failure to provide sufficient incentives, prevented the resumption of negotiations with North Korea. Instead, over the past eight years, North Korea expanded its stockpile of weapons-usable nuclear material, conducted four nuclear tests, and accelerated its missile activities. North Korea’s leadership is likely waiting for Washington to signal what its approach will be. They will not likely wait long. The Financial Times reported February 1 that the White House launched a review of its North Korea policy. A new U.S. policy that first seeks to resume negotiations, followed by pressure if North Korea scuttles diplomatic efforts, is still no guarantee of success. But is the most promising approach. North Korea is currently estimated to possess about 50 kilograms of separated plutonium, enough material for more than 10 warheads, and activities suggest that its stockpile will continue to expand. To that end, Pyongyang restarted its 5mw nuclear reactor at Yongbyong in August 2013, which has since operated intermittently. The reactor produced the plutonium that North Korea used for its nuclear program, but was shut down in 2007 as part of the Six Party Talks. Satellite imagery from 38 North, a site run by the U.S. Korea Institute at Johns Hopkins University's School of Advanced International Studies (SAIS) suggests that North Korea’s reprocessing facility, which separates plutonium for weapons from the reactor’s spent fuel, is also operating. North Korea is also known to possess centrifuges, and may enrich uranium for weapons purposes. Based on estimates from North Korea’s known centrifuge facility, Pyongyang could have produced enough highly-enriched uranium for an estimated 6-8 warheads, bringing the total count to 16-18 as of late 2016. Independent experts assess that North Korea could have as many as 20-100 warheads by 2020. It is highly likely that North Korea is also taking steps to refine its warhead design, both to increase the explosive yield and develop a miniaturized weapon that can be mounted on a ballistic missile. After the February 2013 test, North Korea claimed it had tested a miniaturized device. Pyongyang announced after the January 2016 test that it exploded a hydrogen bomb. While it is extremely unlikely that Pyongyang did test a hydrogen bomb, North Korea may have tested a boosted fission device. Boosted fission increases the explosive yield of a warhead by using isotopes of hydrogen to increase the efficiency of the reaction. While the assertions that North Korea tested a miniaturized or boosted fission device cannot be ascertained with certainty, continued testing gives Pyongyang more information about the performance of its warheads. North Korea’s missile testing activity also indicates that Pyongyang is taking steps to extend the range of its ballistic missiles and develop delivery options, including a submarine launched ballistic missile (SLBM). In 2016, North Korea tested its Musudan missile eight times, the first tests of the missile since it was unveiled in 2010. The Musudan is a medium-range ballistic missile that experts assess could deliver a 650-kilogram payload over 1,200 kilometers. There is uncertainty about the range of the system, given there was only one successful test. However, a 1,200-kilometer range puts South Korea, Japan, and parts of China and Russia within range, but falls short of Guam. 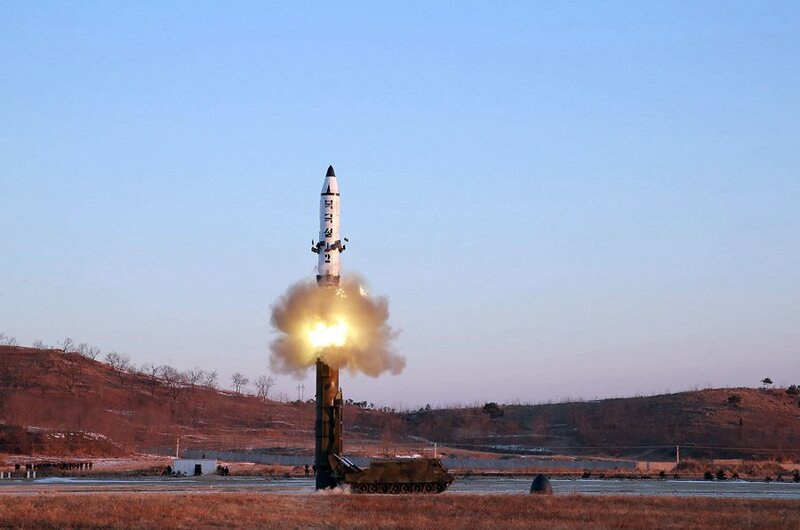 Although only one of the tests was a success, North Korea gained data relevant to the performance of the Mususdan and its longer-range systems. North Korea is also taking steps to field SLBMs. John Schilling, an aerospace engineer, suggests that North Korea could initially field this capability in the second half of 2018. If North Korea can successfully field nuclear-tipped SLBMs, it would pose a regional threat, and could allow Pyongyang to evade the regional missile defense system set for deployment in South Korea. Given the nature of North Korea’s submarines and the estimated range of the SLBM, it is unlikely to pose an intercontinental threat. Given North Korea’s continued production of fissile material and its ballistic missile activities, the threat posed by its nuclear program will continue to grow, unless checked. Tillerson, however, provided little insight into what his approach will be. He mentioned working with regional partners to increase pressure on North Korea and further isolate the country. He also talked about the need for China to enforce UN sanctions and mentioned the possibility of secondary sanctions if Beijing does not enhance its compliance. Steps such as increasing sanctions on North Korea or putting in place secondary sanctions for failure to implement UN measures, do not alone constitute a strategy that will halt North Korea’s advancing nuclear weapons program and ultimately roll it back. Indeed, pursing certain types of sanctions could have the opposite effect ­‑ secondary sanctions on China could alienate Beijing. First and foremost, the Trump administration’s new policy should focus on signaling to Pyongyang that Washington is ready and willing to engage in serious negotiations without preconditions. To start, the new administration should deliver a message directly and carefully to North Korea’s leadership that recalls positive statements that Pyongyang has made about negotiations over its nuclear program, such as to Pyongyang’s statement from July 2016 calling for denuclearization of the entire Korean Peninsula: “The denuclearization being called for by the DPRK is the denuclearization of the whole Korean peninsula and this includes the dismantlement of nukes in South Korea and its vicinity.” This will also make clear that the United States remains committed to denuclearization as the end state in negotiations with Pyongyang. The United States should also simultaneously reach out to states in the region to discuss the administration’s negotiating position and provide assurances that Washington remains committed to the security of its allies. Clear communication with China, given its close relationship with North Korea, will be particularly necessary. In the communication with President Xi, the United States should emphasize importance of China strictly enforcing existing sanctions, and the U.S. intent not to seek new sanctions as long as the North acts with restraint, including no nuclear and missile flight tests. If North Korea is willing to negotiate, initial talks should focus on obtaining a moratorium to prevent additional nuclear and ballistic missile tests. The advantage of pursuing a testing freeze is that it would prevent North Korea from continuing to advance its capabilities, halting progress toward an ICBM and an SLBM capability. The United States will need to be prepared to put something on the table in return for North Korea’s commitment to freeze nuclear and missile tests. After consultations with Seoul, Washington might consider scaling-back or delaying its annual joint military exercises with South Korea. The United States could also commit not to take actions viewed by North Korea as deliberately threatening, such as flying nuclear-capable bombers over the Korean peninsula. The advantage of putting military exercises on the table is that they can easily be scaled back up if North Korea breaks the agreement and conducts a test. Monitoring for nuclear and missile tests also does not require inspectors on the ground. Another option could be a U.S. commitment to delay the deployment of the Terminal High Altitude Area Defense (THAAD) missile defense system, so long as Pyongyang observes a strict test moratorium. Beijing has voiced a strong opposition to the system over concerns that the THAAD radar coverage will include parts of China. In addition to alienating China, deploying THAAD could provoke Pyongyang to continue developing missiles capabilities that would allow it to evade and/or over whelm U.S. missile defenses in the region. If the initial moratorium holds, North Korea and the United States could discuss steps that would roll back Pyongyang’s nuclear activities, including a verifiable halt to fissile material production (including plutonium production and uranium enrichment) that would be monitored by international inspectors into North Korea’s nuclear sites. In return, the United States might extend to North Korea limited sanctions relief and negative security assurances against military attack under certain conditions. To maintain leverage, the United States and its partners should strengthen implementation of UN Security Council-mandated sanctions that have not been fully enforced thus far. This would also preserve the option to try to increase economic and financial sanctions pressure if North Korea refuses to negotiate. Other policy approaches pose very high risks and have a low chance of success. A campaign to impose crippling sanctions on the North is likely to fail, since it will be opposed by China. Any attempt to coerce Beijing will likely be met with a strong response, creating a rift that North Korea will exploit to continue to move forward with its weapons of mass destruction programs. Preemptive military strikes will face severe operational difficulties and almost certainly a strong, likely military, response from Pyongyang that could trigger a second Korean War. It would also be opposed by South Korea and Japan and draw China into what may be an escalating regional conflict. The dangers posed by North Korea—ranging from the direct threat to the United States and a growing threat to South Korea and Japan, to the possibility that Pyongyang will transfer nuclear technology abroad to earn hard currency—cannot be ignored. Simply maintaining the current policy will not slow North Korea’s advances; and more robust missile defenses provide only a partial defense for the United States and its allies, at best. In formulating a more effective approach, the new administration must jettison flawed assumptions that have underpinned a failed U.S. policy for the past eight years. A new policy that tries negotiations first, and then puts pressure on the North if its intransigence scuttles diplomacy, is still no guarantee of success, but is the most promising approach. Trump’s rhetoric was often impulsive, but it may be worth looking at the impulses he repeatedly revealed. President Barack Obama’s stance of “strategic patience”—pressure without negotiations—rested on the dubious premise that time was on Washington’s side. His successor does not have that luxury. North Korea’s fifth nuclear test may have yielded a nuclear device that can be mounted on a missile, although a few more tests still may be needed to prove its reliability. The North’s reactor at Yongbyon is fitfully generating more spent fuel, a refurbished reprocessing facility has just turned that spent fuel into plutonium, a new reactor is nearing completion, and its uranium-enrichment program, an alternative route to produce the explosive material for a nuclear bomb, has expanded. At its current pace, Pyongyang could have enough fissile material for more than 40 nuclear weapons by 2021. Pyongyang is also test-launching new missiles, its intermediate-range Musudan and a new submarine-launched ballistic missile that could circumvent the Terminal High Altitude Area Defense (THAAD) anti-missile system that is soon to be deployed in South Korea. A KN-08 ballistic missile is assessed to be capable of reaching the United States. Without testing, neither Washington nor Pyongyang can be sure of its range or reliability, but leader Kim Jong Un now said in his New Year address January 1 that his country is in the “final state of preparation”1 for the test launch of an intercontinental ballistic missile (ICBM). So what will Trump do to head off that looming threat? Tougher sanctions. The favorite prescription of the foreign policy establishment is to tighten sanctions. To appear to do something while failing to tackle a difficult political problem is the classic stance of Washington insiders. Yet, sanctions may have less appeal to an anti-establishment outsider such as Trump and for good reason. Sanctions have enjoyed far less success against North Korea than against Iran. As the experience of negotiating with Iran suggests, moreover, relaxing sanctions may help stanch nuclear arming better than tightening them. Although UN sanctions have impeded weapons trade with North Korea, the evidence suggests that they have not done much to hamper North Korea’s economy, which has continued to grow at a modest pace over the past decade. Its foreign trade persists despite efforts of the U.S. Department of the Treasury to cut off its access to banks around the globe, suggesting that hawala, the informal networks of brokers and middlemen who move money for clients in countries with large Muslim populations in the Middle East, Africa, and South Asia, and similar middlemen in China have picked up some of the slack. Unlike oil-rich Iran, North Korea does not have many big-ticket items to buy or sell, making letters of credit from international banks less of a necessity. In a world where money flows more freely than water, trying to plug the many leaks seems doomed to fail. North Koreans may denounce financial sanctions as a sign of U.S. hostile intent, but they are crying all the way around the banks. Let China do it. Another favorite prescription in Washington is to outsource the North Korean problem to China. That misreads Pyongyang’s purpose: it has long sought to improve relations with the United States, South Korea, and Japan as a hedge against overdependence on China for its security and prosperity. Nothing threatens Pyongyang more than cooperation between Washington and Beijing. When Washington and Beijing applied concerted pressure on Pyongyang, the North responded with nuclear tests in 2006, 2009, 2013, and 2016 in an effort to drive them apart. During his campaign, Trump repeatedly voiced support for letting China deal with Kim. “I would get China to make that guy disappear, in one form or another, very quickly,” Trump told CBS. “China has absolute control of North Korea. They won’t say it, but they do, and they should make that problem disappear.”5 As it has demonstrated over many years, China has no interest in making Kim or North Korea disappear, which limits how much pressure it is willing to apply on Pyongyang by imposing stringent sanctions. At the same time as he wants China’s help with North Korea, Trump has shown an impulse to pick a fight with China over trade and Taiwan. How will that help persuade China to step up pressure on Pyongyang, let alone “make that guy disappear”? “They don’t live and they don’t breathe without China,” he said of Pyongyang. “They wouldn’t get anything without China. China has the power, and we have to tell China to straighten out the situation,” Trump told Fox News. “We have power over China because of trade. Frankly, if we ever stopped it, believe me you would see a depression in China like you have never seen a depression before.”6 Yet, such a depression might also reduce U.S. growth and imperil South Korea and Japan, whose economies depend heavily on trade with China. And threatening to break the commitment to a one-China policy is likely to encourage Beijing to prop up Pyongyang. Regime change. South Korean President Park Geun-hye’s current passion for regime change has impeded U.S. efforts to open negotiations, but she is being forced out of office. Ironically, regime change seems to have come to Washington and Seoul sooner than to Pyongyang. Yet, if Trump follows Park’s lead and waits for North Korea’s collapse, he will likely face a North Korea with many more nuclear warheads able to be delivered by missiles, some possibly capable of reaching the U.S. heartland, before his first term ends. By then, if not before, Trump will hear siren calls to launch a preventive war to keep North Korea from fielding ICBMs armed with nuclear warheads, as if U.S. intelligence could pinpoint the locations of all the warheads in that tunnel-riven land. Negotiation. Trump’s strongest impulse is to approach international politics as transactional and to regard himself as a peerless deal-breaker and deal-maker. He first broached the idea of talking to Kim on January 6, the very day that North Korea conducted its fourth test of a nuclear device. If he follows that instinct, he has to act sooner rather than later. The longer he waits, the greater the North’s bargaining leverage will be. Deferring negotiations until the North commits to complete denuclearization and takes unilateral steps to that end would be a waste of time. The urgent task is to induce Pyongyang to suspend arming now. Suspending the North Korean nuclear program has been the thrust of all three agreements that the United States has made with North Korea: the 1994 Agreed Framework; the September 19, 2005, six-party joint statement; and the 2012 Leap Day deal. Contrary to conventional wisdom, the first two accords had some success.12 The 1994 accord halted all fissile material production in the North for more than nine years until the George W. Bush administration seized on U.S. intelligence reports that Pyongyang was secretly acquiring the means to enrich uranium and used those reports to scrap the accord without bothering to probe the North’s offer to negotiate the issue. The 2005 accord was nearly stillborn when two days before the accord was finalized, the U.S. Treasury Department threatened sanctions on all banks that did business with North Korea, prompting authorities in Macao to seize North Korean funds at Banco Delta Asia. Shortly after North Korea conducted its first nuclear test in October 2006, Washington agreed to arrange for the return of the funds; and Pyongyang ceased all fissile material production at Yongbyon and nuclear tests and missile test-launches, only to have the deal fall apart in 2009 after South Korea failed to deliver promised energy aid. The Leap Day deal collapsed almost immediately when North Korea proceeded with a satellite launch attempt in 2013 despite a U.S. warning that such a move would be a deal-breaker. Given that history, trying for a suspension yet one more time would face formidable political opposition in Washington and Seoul. Opponents would demand that no deal be made unless Pyongyang first commits to denuclearization, which it insists it will not do. Delaying a possible suspension of the North’s programs while seeking an unlikely commitment to give up its weapons is to sacrifice the practical on the altar of the theoretical, and trying for a permanent dismantling of Pyongyang’s nuclear and missile programs would take much more substantial inducements and consume precious time. In short, without giving up the U.S. goal of denuclearization of the Korean peninsula, negotiations have to start somewhere. Insisting on a more comprehensive deal while the North’s programs proceed apace does not make much strategic sense. Washington understandably cannot keep negotiating while North Korea continues arming. Recent unofficial contacts indicate that Pyongyang seems open to talks about talks so long as it does not have to satisfy U.S. preconditions unilaterally. The subject of such talks would be a suspension of Pyongyang’s programs and the reciprocal steps that Washington would take to address its security concerns, along the lines of “action for action” as set forth in the September 19, 2005, joint statement. A one-year suspension would not work. What would happen when that year was up? Would exercises have to be suspended permanently to keep the North from testing? The North may be amenable to a reduction in the scale, scope, and operating tempo of the three largest U.S.-South Korean joint exercises instead. For instance, if it were forgoing nuclear tests, there would be less need to fly B-52s into South Korean airspace to reassure U.S. allies. Similarly, mock attacks on nuclear sites and leadership targets could be avoided as needlessly provocative. Both sides would have to agree to do more. Pyongyang might be willing to suspend not only nuclear testing, but also missile tests and possibly satellite launches and verifiably stop fissile material production. In return, Washington could suspend the application of all sanctions that predate the North’s nuclear program, reaffirm its commitments in the October 2000 U.S.-North Korean joint communiqué renouncing “hostile intent” and pledging to build “a new relationship free from past enmity,” commit to respect the North’s sovereignty and not interfere in its internal affairs, and, after consulting with Seoul, agree to commence a peace process on the Korean peninsula. Yet, the chances of persuading North Korea to go beyond another temporary freeze and dismantle its nuclear and missile programs are slim without firm commitments from Washington and Seoul to move toward political and economic normalization, engage in a peace process to end the Korean War, and negotiate regional security arrangements, among them a nuclear-weapon-free zone that would provide a multilateral legal framework for denuclearization. Trump’s willingness to hold out the prospect of a summit with Kim would also be a significant inducement. Doubts about his enduring commitment to the alliance, however, could intensify Seoul’s resistance to engaging in a peace process. Suspension would leave North Korea with a rudimentary deterrent, but it would forestall unbounded weapons programs with profoundly destabilizing effect on the balance of power in Northeast Asia. If all else fails and North Korea continues to arm, the fallback position of many in Washington is to bolster deterrence and contain it. For others, that is not enough. Yet, Trump’s indisposition to military intervention and skepticism about alliances14 seem to rule out some of the more forceful options being bruited about in Washington. Impulses are not policies, but they may provide clues to Trump’s inclinations. If he follows his impulse to talk, he could succeed where Presidents Obama and George W. Bush have failed. North Korea’s arming is now unbounded. Temporary suspension of its nuclear and missile programs, if possible, would have huge benefits for U.S. and allied security and could open the way to a gradual improvement in relations with North Korea that would ease its insecurity and facilitate more permanent dismantlement of its weapons programs. Perhaps Trump could get there if he starts from here. 1. Kim Jong Un, “New Year Address,” http://www.naenara.com.kp/en/news/?22+3039. 2. Maggie Haberman and David E. Sanger, “‘It Won’t Happen,’ Trump Says of North Korean Missile Test,” The New York Times, January 2, 2017. 3. Donald Trump, On the Record, Fox News, January 7, 2016. 4. Maxwell Tani, “Donald Trump on North Korean Dictator Kim Jong Un: ‘If He Came Here, I’d Accept Him,” Business Insider, June 15, 2016; Steve Holland and Emily Flitter, “Trump Would Talk to North Korea’s Kim, Renegotiate Climate Treaty,” Reuters, May 17, 2016. 5. Donald Trump, This Morning, CBS, February 10, 2016. 6. Donald Trump, “On the Record,” Fox News, January 7, 2016. We’re basically protecting Japan, and we are, every time North Korea raises its head, you know, we get calls from Japan and we get calls from everybody else, and “Do something.” And there’ll be a point at which we’re just not going to be able to do it anymore. Now, does that mean nuclear? It could mean nuclear.… [A]t some point, we cannot be the policeman of the world. And unfortunately, we have a nuclear world now. And you have, Pakistan has them. You have, probably, North Korea has them. I mean, they don’t have delivery yet, but you know, probably, I mean to me, that’s a big problem. And, would I rather have North Korea have them with Japan sitting there having them also? You may very well be better off if that’s the case. Maggie Haberman and David E. Sanger, “Transcript: Donald Trump Expounds on His Foreign Policy Views,” The New York Times, March 26, 2016. See “Transcript: Donald Trump on NATO, Turkey’s Coup Attempt and the World,” The New York Times, July 21, 2016. 8. David Sherfinski, “Donald Trump: About Time That China Gets Involved With the North Korea Problem,” Washington Times, January 6, 2016. 10. Choi Sung-jin, “Trump Reaffirms Intention to Talk With Kim Jong Un,” Korea Times, June 6, 2016. 11. Eric DuVall, “Trump Would Host Kim Jong Un to Discuss Nuclear Program,” UPI, June 15, 2016. 12. For a history of the negotiations, see Leon V. Sigal, “What Have Twenty-Five Years of Nuclear Diplomacy Achieved?” in Pathways to a Peaceful Korean Peninsula: Denuclearization, Reconciliation and Cooperation, ed. Jeong-ho Roh (Seoul: Korean Institute of National Unification) (forthcoming). 13. Korean Central News Agency (KCNA), “KCNA Report,” January 10, 2015. Leon V. Sigal is director of the Northeast Asia Cooperative Security Project at the Social Science Research Council in New York and author of Disarming Strangers: Nuclear Diplomacy With North Korea (1997). The UN Security Council acts again in response to Pyongyang’s nuclear tests. The UN Security Council voted unanimously to impose the harshest sanctions yet on North Korea, including a reduction in a major source of hard currency, as it continues to conduct prohibited nuclear testing. Security Council Resolution 2321, adopted Nov. 30, is a response to North Korea’s Sept. 9 nuclear test and follows Resolution 2270 in March, which imposed sanctions on North Korea following its January nuclear test. In the past year, North Korea has conducted two underground nuclear test explosions and more than 20 ballistic missile test launches in violation of Security Council resolutions. The new sanctions include a cap on North Korean coal exports, a major source of hard currency, to reduce shipments by $700 million, or more than 60 percent. By setting a dollar value and tonnage limit on coal exports, the resolution closes the loophole in previous sanctions, which allowed unlimited coal exports for “livelihood purposes.” The new sanctions also ban the export of nonferrous metals, including copper, silver, and zinc, which provide $100 million a year to the regime, and the export of monuments, which are large authoritarian-style statues particularly popular among African leaders, which generates tens of millions of dollars in sales. The resolution expands by 18 items the list of prohibited imports by North Korea of dual-use items that have applications for weapons of mass destruction. “The sanctions are the latest step in our ongoing efforts to convince North Korea that the only path to economic development and international recognition it claims to seek is by returning to credible negotiations on denuclearization,” Joseph Yun, the U.S. State Department special representative for North Korea policy, said after meeting Dec. 13 with Japanese and South Korean officials. Japanese Prime Minister Shinzo Abe, in an official statement Nov. 30, praised the sanctions for demonstrating international resolve. Japan and South Korea each announced unilateral sanctions on Dec. 2 to blacklist senior North Korean officials, and Japan banned ships that dock in North Korea from entering its ports. North Korea scoffed at the resolution. “There will be no greater miscalculation than to think that [U.S. President Barack] Obama and his henchmen can use cowardly sanctions racket to try to force us to give up our nuclear armament policy or undermine our nuclear power status,” the North Korean Foreign Ministry said in a statement reported Dec. 1 by the Korean Central News Agency. China, as North Korea’s largest trading partner, plays a critical role in determining the success of sanctions. In compliance with Resolution 2321, China announced Dec. 11 that it would halt all coal imports from North Korea through the end of the year. Sanctions alone will not curb North Korea’s nuclear weapons development, said Joel Wit, a senior fellow at the U.S.-Korea Institute at Johns Hopkins School of Advanced International Studies, at a Dec. 14 press briefing. He argued for a larger strategy of coercive diplomacy, of which the measured escalation of sanctions are one component. Samantha Power, U.S. ambassador to the United Nations, also acknowledged the limitations of UN sanctions. “No resolution in New York will likely, tomorrow, persuade Pyongyang to cease its relentless pursuit of nuclear weapons,” she said when the Security Council measure was adopted. The United Nations Security Council has adopted nine major sanctions resolutions on North Korea in response to the country’s nuclear and missile activities since 2006. Each resolution condemns North Korea’s latest nuclear and ballistic missile activity and calls on North Korea to cease its illicit activity, which violates previous UN Security Council resolutions. All nine resolutions were unanimously adopted by the Security Council and all but Resolution 2087 (January 2013) contain references to acting under Chapter VII, Article 41 of the United Nations Charter. In addition to imposing sanctions, the resolutions give UN member states the authority to interdict and inspect North Korean cargo within their territory, and subsequently seize and dispose of illicit shipments. The resolutions also call upon North Korea to rejoin the nuclear Non-Proliferation Treaty (NPT), which it acceded to in 1985 but withdrew from in 2003 after U.S. allegations that the country was pursuing an illegal uranium enrichment program. The Security Council also has called for North Korea to return to negotiations in the Six-Party Talks, which include South Korea, North Korea, China, Japan, Russia and the United States. The Six-Party talks, which took place from 2003-2009, resulted in a joint statement on denuclearization. North Korea also dismantled its plutonium-producing reactor as part of the process, although it has subsequently restarted the reactor. For more on the Six-Party talks, click here. The United Nations monitors implementation of North Korea sanctions through the 1718 Committee, established by Security Council Resolution 1718 in 2006 and a Panel of Experts, established by Security Council Resolution 1874 in 2009. The panel produces regular reports to the Security Council on the status of the sanctions and enforcement. Prior to passing the first sanctions resolution in 2006, the Security Council passed several resolutions condemning North Korea’s nuclear and missile activities. In response to North Korea’s announcement of intent to withdraw from the NPT in 1993, the Security Council passed Resolution 825, urging North Korea to remain party to the NPT and to honor its nonproliferation obligations under the treaty. Resolution 1695 was passed in 2006 in response to ballistic missile launches in July, and calls on North Korea to suspend activities related to its ballistic missile program. Additional Security Council resolutions on North Korea serve to extend the 1718 Committee mandate. They are not included in this list, but can be found here. Resolution 1718 was unanimously adopted by the UN Security Council on October 14, 2006, shortly after North Korea’s first nuclear test on October 9. The full text of Resolution 1718 is available here. Demands North Korea refrain from further nuclear or missile tests. Demands North Korea return to the NPT. Decides North Korea shall suspend all ballistic missile activities. Decides North Korea shall abandon its nuclear program in a “complete, verifiable, and irreversible” manner. Decides North Korea shall abandon all WMD activities. Calls upon North Korea to return to the Six-Party Talks. The resolution established a committee composed of the 15 current members of the Security Council to function as a monitoring body to review and adjust the imposed sanctions and violations of the sanctions. The body was to provide a report on the status of sanctions implementation every 90 days. Resolution 1874 was unanimously adopted by the UN Security Council on June 12, 2009, shortly after North Korea’s second nuclear test, which took place May 25. The full text of Resolution 1874 is available here. The resolution reiterated a number of provisions from Resolution 1718. It also called upon North Korea to join the Comprehensive Nuclear Test Ban Treaty. Sanctions in Resolution 1874 built off several measures first laid out in Resolution 1718. The resolution expanded the arms embargo by banning all imports and exports of weapons, excluding small arms (which required Security Council notification). Resolution 1874 set up a seven-member expert panel to assist the sanctions committee in enforcing the resolution and monitor implementation. Known as the ‘Panel of Experts,’ the group was initially given a mandate for one year and was required to report regularly to the Sanctions Committee on possible violations and recommendations for improving implementation. Later resolutions extended the mandate of the Panel of Experts. The Security Council unanimously adopted Resolution 2087 on January 22, 2013 after a successful North Korean satellite launch on December 12, 2012. The launch was a violation of Resolutions 1718 (2006) and 1874 (2009), which prohibited any further development of technology applicable to North Korea’s ballistic missile programs. The full text of Resolution 2087 is available here. Resolution 2087 called for other states to “remain vigilant” in monitoring individuals and entities associated with the North Korean regime. It also directed the sanctions committee to issue an Implementation Assistance Notice if a vessel refused to allow an inspection authorized by its flag state. Resolution 2087 also listed individuals subject now to the travel ban and asset freeze penalties, and entities subject to the asset freeze penalties, for violations under Resolutions 1718 and 1874. No new monitoring mechanisms were included in Resolution 2087. The Security Council unanimously adopted Resolution 2094 on March 7, 2013 in response to North Korea’s third nuclear test on February 12, 2013. The full text of the resolution is available here. Unlike prior resolutions, 2094 explicitly mentioned North Korea’s uranium enrichment in its condemnation of Pyongyang’s nuclear activities. Resolution 2094 expands a number of sanctions measures from earlier resolutions, such as adding nuclear and missile dual-use technologies and luxury goods to the list of banned imports. Resolution 2094 also designated additional individuals and entities for asset freezes and the travel ban and expanded the designation criteria to include persons or entities suspected of acting on the behalf or controlled by any persons or entities already sanctioned. The resolution aims to make it more difficult for North Korea to make further progress in its nuclear and ballistic missile programs by hindering its access to hard cash and technological equipment needed to build weapons and pursue uranium enrichment. calling for states to inspect and detain any suspected cargo or shipments to or from North Korea that transit through their territory, if the cargo is suspected to contain bulk cash or material that could be used in a nuclear program. The resolution expanded the panel of experts that assesses implementation of UN Security Council sanctions on North Korea to eight people. 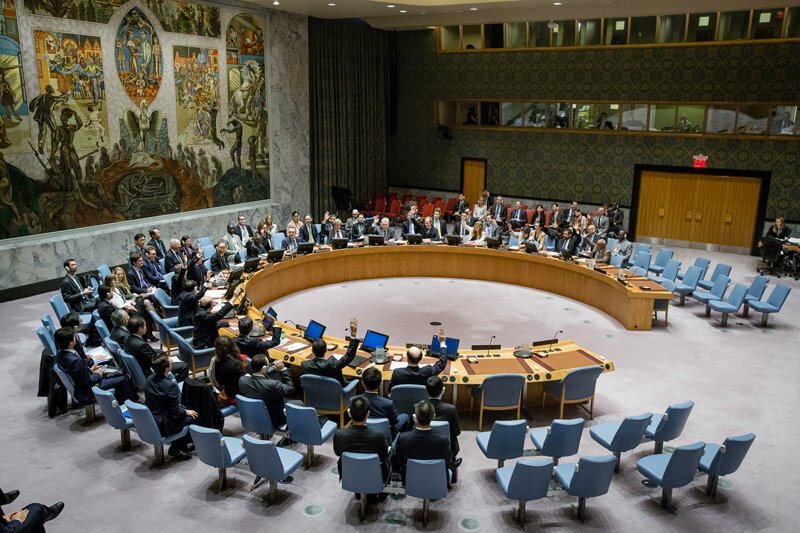 The Security Council unanimously adopted Resolution 2270 on March 2, 2016 after North Korea conducted a fourth nuclear test and launched a satellite for the second time. The full text of the resolution can be found here. Prohibits states from providing any specialized teaching or training of North Korean nationals in disciplines which could contribute to North Korea’s proliferation. Emphasizes that the North Korean regime has seriously neglected to meet the needs of the North Korean people and has instead prioritized development of its nuclear weapons and ballistic missile programs. Resolution 2270 also designated an additional 16 individuals and 12 entitles for asset freezes and travel bans. It also requires that member states repatriate North Korean or other foreign nationals found to be working on behalf of a Security Council resolution-designated entity. No new monitoring mechanisms were included in Resolution 2270. The Security Council unanimously adopted Resolution 2321 on November 30, 2016, following North Korea’s fifth nuclear test on September 9. Resolution 2321 significantly expanded sanctions on North Korea. Resolution 2321 also added additional items to the list of prohibited dual-use technologies and designated additional individuals and entities to subject to asset freezes and the travel ban. Resolution 2321 introduced a standard notification form for coal purchases from North Korea to track imports against the cap set by the resolution. The resolution also directed the Panel of Experts to hold meetings designed to address regional concerns and build capacity to implement the measures in 2321 and other North Korea sanctions. Resolution 2371 was adopted unanimously by the Security Council on August 5, 2017 in response to North Korea’s two ICBM tests in July. The United States claimed the new sanctions would prevent North Korea from earning over $1 billion each year, although some experts expressed doubt. The full text of the resolution can be found here. Resolution 2371 asks Interpol to publish Special Notices on listed North Koreans for travel bans. It also gives the UN Panel of Exerts additional analytical resources to better monitor sanctions enforcement. Following North Korea’s sixth nuclear test on September 3, 2017 the UN Security Council unanimously adopted UNSCR 2375 on September 11. The resolution, which primarily targeted North Korean oil imports, textile exports and overseas laborers, contained the strongest yet sanctions against North Korea, according to a U.S. press release. The full text of the resolution is available here. Resolution 2375 also added additional items to the list of prohibited dual-use technologies and designated additional individuals and entities. Provides further guidance for states to conduct interdictions, without the use of force, if the member states have reason to believe the vessel is carrying prohibited cargo. If a suspected vessel refuses inspection, the flag state must direct the ship to a port for inspection or risk being designated for an asset freeze or denied port access. The UN Security Council unanimously adopted Resolution 2397 on December 22, 2017 in response to North Korea’s ICBM launch on November 29. The full text of the resolution is available here. -Update assistance by Elizabeth Philipp.